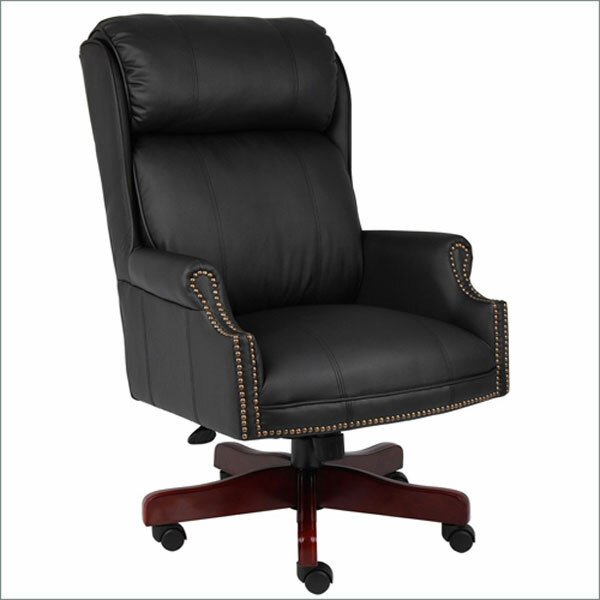 This chair has a classic traditional styling with a beautiful upholstered in Black CaressoftPlus. The antique brass nail-head trim is hand applied and the coil construction in the seat is 8-way hand-tied. Also assembled with an upright locking position and a pneumatic gas lift seat height adjustment.